This website uses a nice design layout with a tool bar at the top of the web page which easily guides you around the website into the different products that apple has to offer. There is also a selection of options at the bottom which are clearly displayed and provide you with images so you know what the information is going to be about. The contact information is also immediately displayed at the bottom of the screen for customer enquiries. 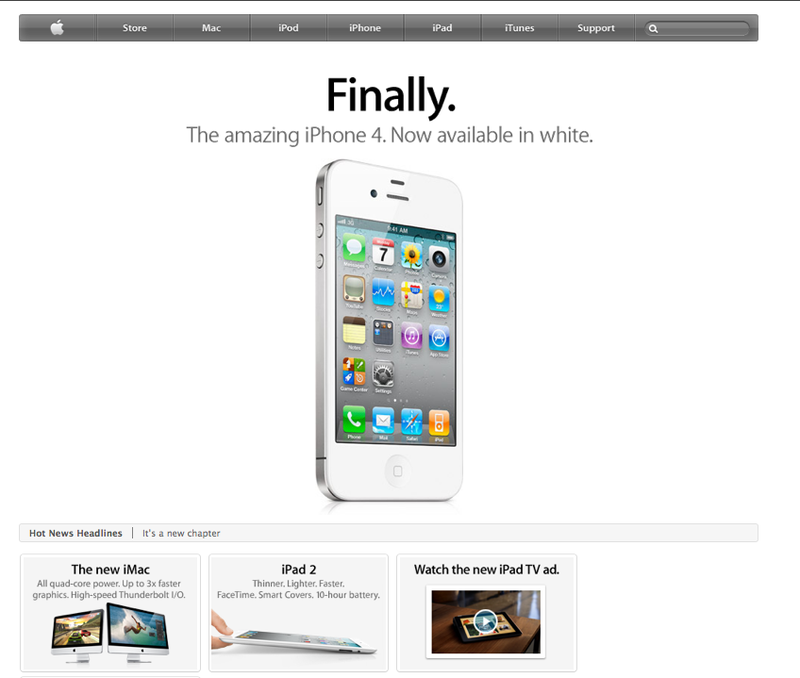 Overall, the apple website is easy to use and nice to look at it. Ebay is precise and reliable. As it deals with transactions, it consists of functions that enable you to easily balance your money. All these options are easily accessible through the homepage which immediately allows you to start buying or selling. The home page also has categories which allows for you to go straight to your area of interest. The design layout has been well thought out by distinguishing the searching options from the transactions options so it is easier to manoeuvre around the site. Tom Hoch is an award winning website and it is easy to see why. The images of his design work grab your attention as soon as the site opens; hence you know what he does and how his designs will look. He has used many design elements like balance, contrast and line to make this website look credible, but non better than the use of colour which he makes blend beautifully. The functionality bar is well displayed and easy to access. The information on this website is nicely displayed through options that are clearly presented and easy to find. The side bar option on the left hand side is a nice touch for requiring immediate information. The functionality bar at the top of the page is well displayed and allows easy movement around the website. 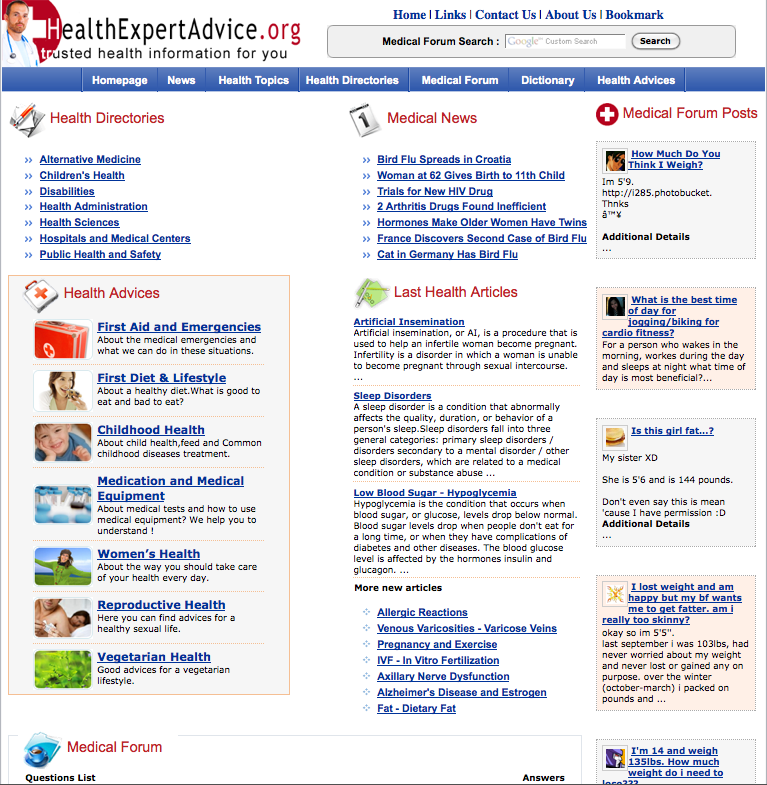 The forum also allows people to receive friendly advice from people who have perhaps suffered from the same problem and professional help. Website credibility is a serious issue in the modern age of computing and technology. As we are now using the internet in a diversity of different ways it is important to be to inspect a credible website upon arrival. Whatever your activity is on the web whether its shopping or research, it is important for the website to establish credibility to earn your trust. As (Doncor, 2011) explains, a website design be correctly targeted against a market audience. The design will not only attract them but influence them to become your customer. Websites can look attractive and well designed but sometimes this can be a trap as (Furman, 2008) notes that we make preconscious judgements because we are distracted by the design visuals before any real cognitive processing can take place. However, if a website has elements like familiar logos, contact information etc then its credibility is often reliable. What you are doing on the internet can often be affected by credibility. If your researching for a project, credibility is important for reliability. Reliability of information is another issue. The information that is gathered can often be false or incomplete. If someone does not cite the text then it could fiction or someone’s biased opinion. An example of this would be Wikipedia where it is freely open for editing, meaning that anyone can easily change the information displayed on the website. This is something to be careful of when researching for projects etc.